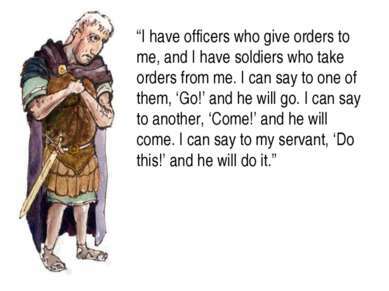 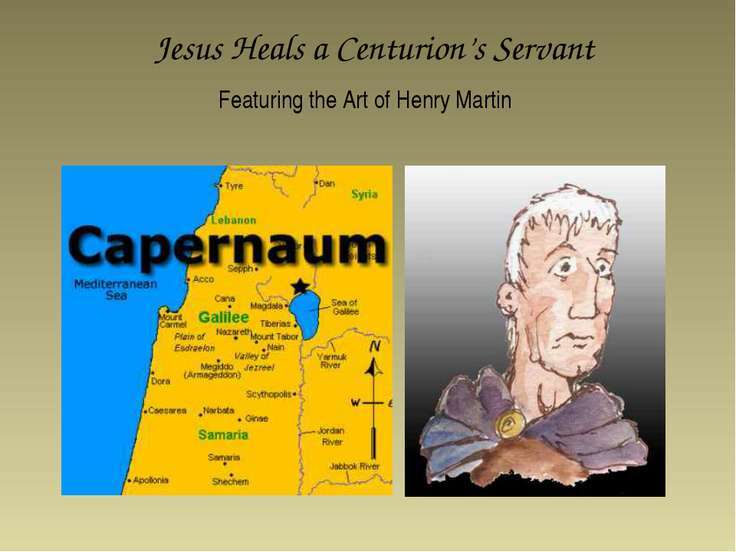 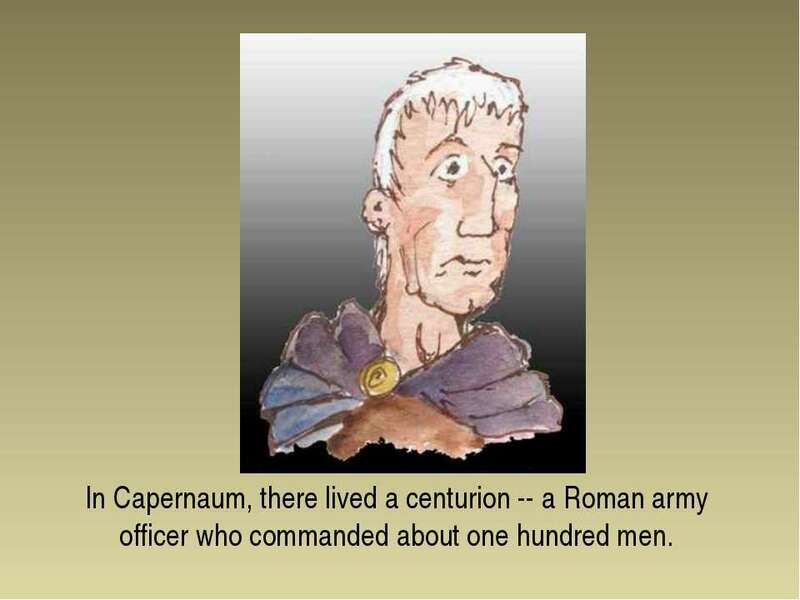 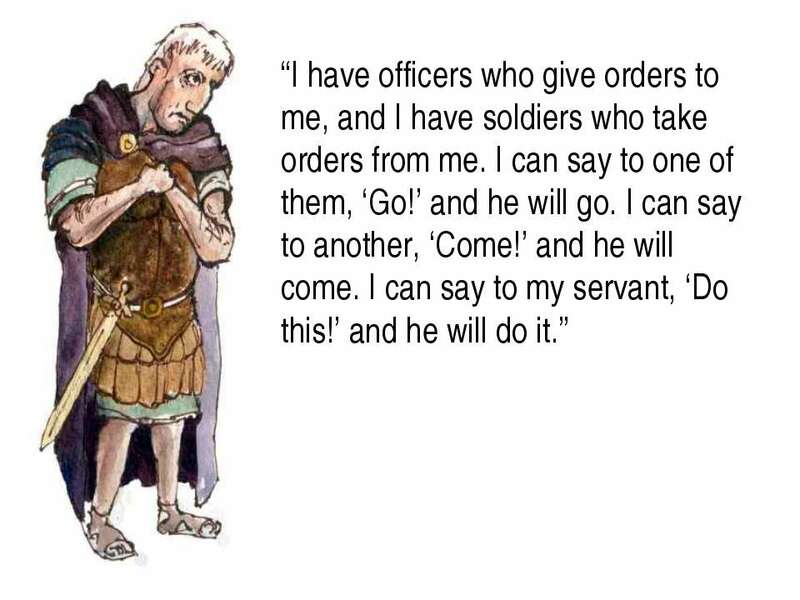 In Capernaum, there lived a centurion -- a Roman army officer who commanded about one hundred men. 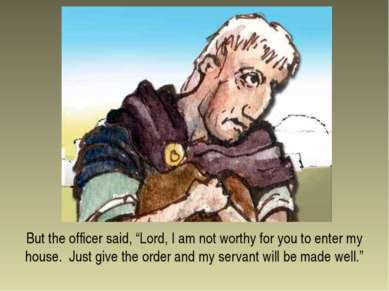 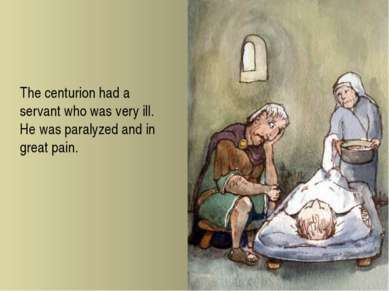 The centurion had a servant who was very ill. He was paralyzed and in great pain. 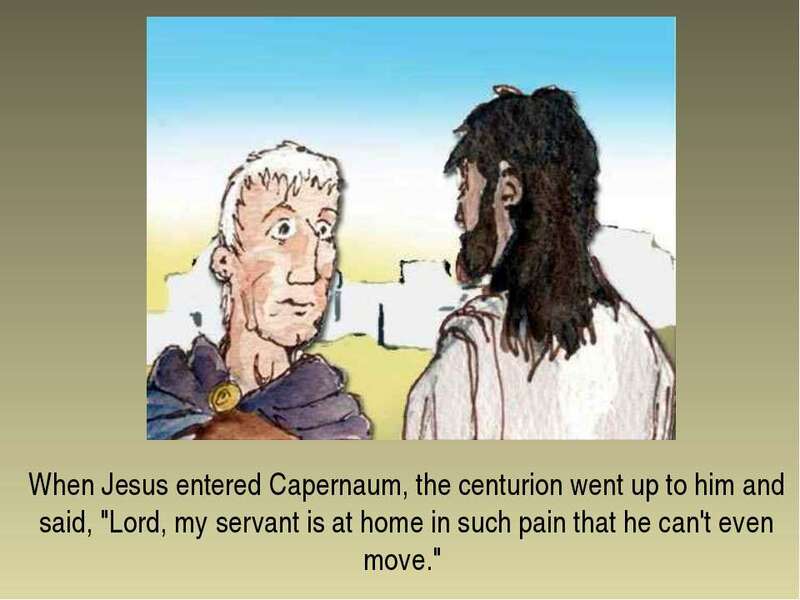 When Jesus entered Capernaum, the centurion went up to him and said, "Lord, my servant is at home in such pain that he can't even move." 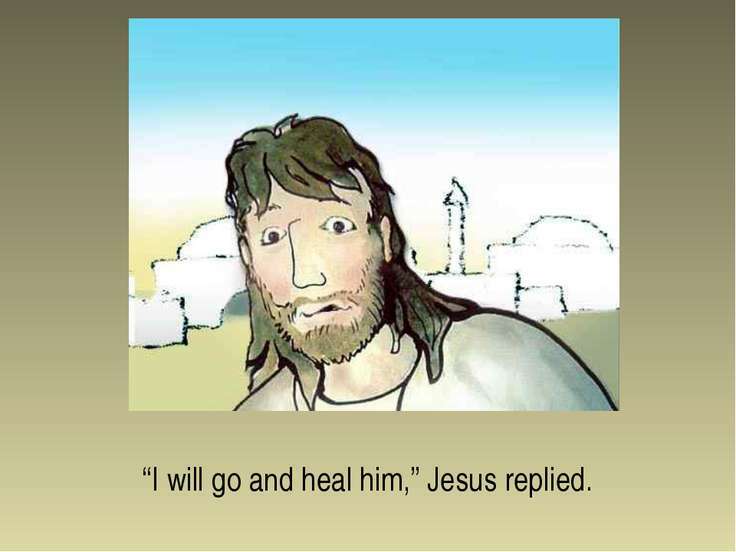 “I will go and heal him,” Jesus replied. 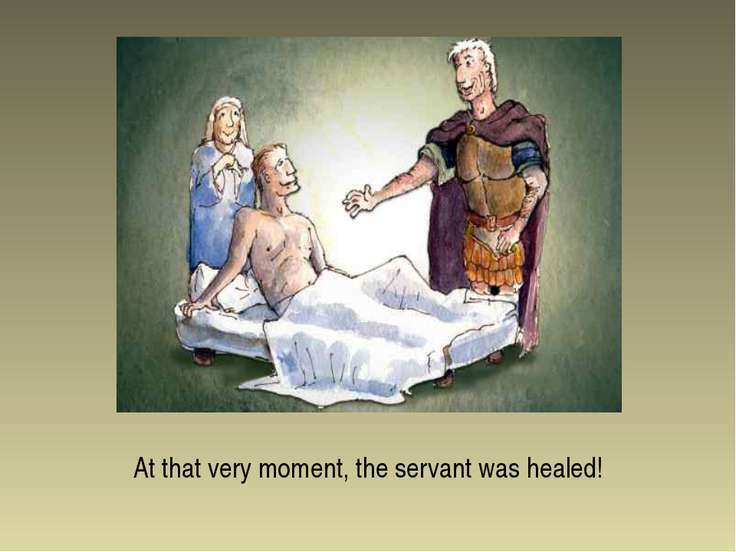 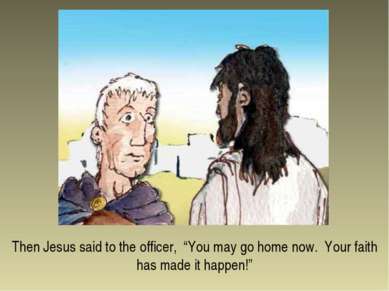 At that very moment, the servant was healed! 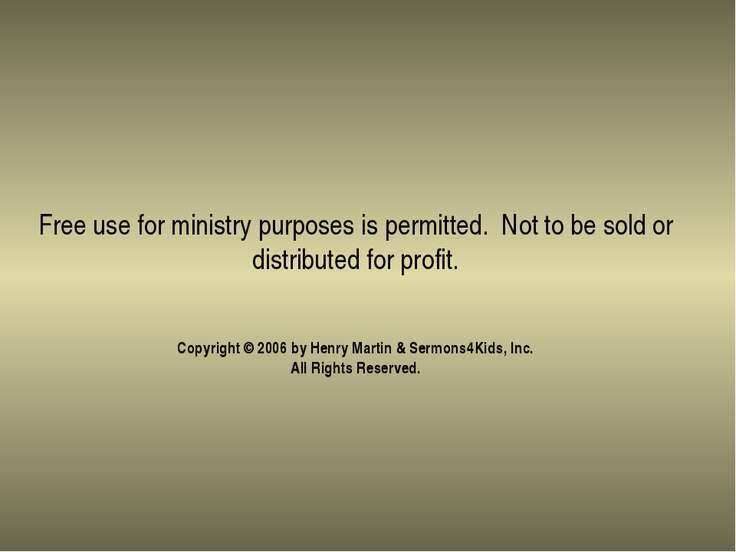 Free use for ministry purposes is permitted. Not to be sold or distributed for profit. 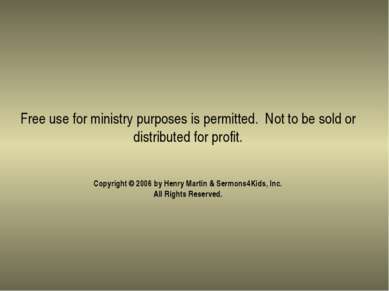 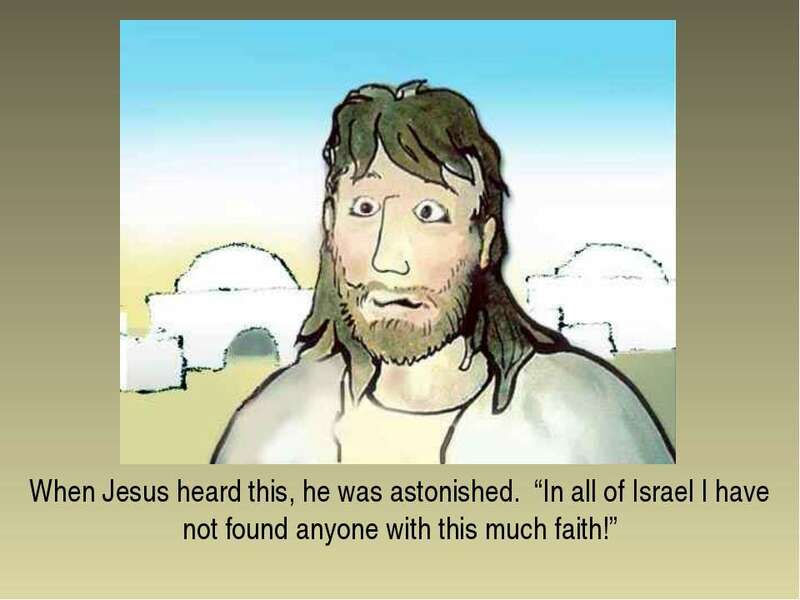 Copyright © 2006 by Henry Martin & Sermons4Kids, Inc. All Rights Reserved.